(Updated Patch Schedule) On Thursday, July 29, 2010, at 00:00 EST (12:00 GMT+8), HKO will go offline for about 4 hours for an update! This update will allow you to access multiple regions using a single game client! Your game client will automatically update itself when you run it, so you don’t have to do anything. If you haven’t installed the game yet, please head over to our download page and get our new 140MB unified playable installer. Because the new game client lets you access servers that were previously separated, we had to make some adjustments. The most important thing to remember is that HKO now has Servers based on your preferred region, and on each Server there are Worlds. Your character is restricted to a single server, but can access all the worlds on that server. Play wherever suits you best! Once you have logged into the game with your SanrioTown email and password, you will see a new server selection screen: choose a Server based on your location and then select a World based on your language (if applicable). International: for all players from all parts of the world (previously was called “Global”). This server offers three different Worlds for players depending on language: English, French, or German. More language options may be added in the future. US & Canada: for players from USA & Canada (previously was called “North America”). This server has one World for English language players. NOTE: characters are non-transferable between servers; your character exists only on the server where you created him/her. If you log in to the wrong server you will see the character creation screen instead of your character information. Simply exit and log in to the other server. If you have any comments or questions, please email us at onlinegame@hellokitty.com. See you in the game! The results of the HKO event Farm Your Flag are now in! We asked players to create a HKO-themed flag using only their in-game farms. Everyone did an excellent job and we had an awesome time reviewing all the entries! Congratulations to all winners, who will receive 1,000 Sanrio Loyalty Points! Players who submitted a valid entry for this event will receive 200 Loyalty Points, so everyone is a winner! You will receive your points within 24 hours. We’d like to thank everyone who submitted their farm flags and we really look forward to your participation at the next event! See you all in game and hugs to everyone! A Day in the Life of Hello Kitty Online Winners! Hey, HKO players and SanrioTownsfolk! Good day! The HKO event “A Day in the Life of Hello Kitty Online” has been marvelously fun and successful! We’re overjoyed to see that a lot of players participated in this event to share with us the magic of their day in-game! It was fun reading all those dreamy and fantabulous stories, and we hope to read more of them even though the event has ended. We have also added the corresponding Sanrio Loyalty Points to each participant, so enjoy your SLP! If anyone has anyone has questions or problems regarding their SLP only for this particular event, you can reach us at marketing@hellokitty.com. A Day In the Life of Hello Kitty Online: More Runner-Up Winners! Hi HKO players and SanrioTownsfolk! We’re thrilled to announce that we are raising the number of runner-up winners for the hottest Hello Kitty Online event: A Day in the Life of Hello Kitty Online! Now, there will be three (instead of one) runner-up winners for the event, giving you more opportunity to win 500 Sanrio Loyalty Points (you can use loyalty points to buy cool HKO stuff in the item mall)! The Grand Prize Winner will earn 1000 SLP, while each Runner-Up Winner will earn 500 SLP. So what are you waiting for? Start writing those blog entries! Share the magic of your day in Hello Kitty Online and get a chance to earn tons of SLP! To read more about the event mechanics, please click here. Hello Kitty Online Commercial Launch in Thailand! Today is the Hello Kitty Online commercial launch in Thailand! C2 Vision, a leading PC game distributor, publisher and developer in Thailand, opens its servers today, July 5th, 2010, to throngs of excited Hello Kitty fans. A HKO Thailand starter kit is on sale at 7-11 stores throughout the country to allow players to enter the cutest online world. The game client may also be downloaded from the Thai game site. Players who joined during Open Beta can continue playing as normal, without loss of items and character information! If you haven’t joined the game yet, sign up now and enjoy the only MMOG made especially for Sanrio fans! For more information please visit the Official Hello Kitty Online Thailand site. Attention players of Hello Kitty Online North America and Global: it’s time to unleash your creativity and design your own HKO-themed flag using your character’s farm! Participate in HKO’s Farm Your Flag and you could win 1,000 Loyalty Points! All valid entries will receive 200 loyalty Points! 1. Create an original flag using your farm. Choose and plant your seeds strategically so that they grow into plants that form an image. The image could be a Sanrio character or anything to do with Hello Kitty Online. 2. Take a screenshot of the farm when it’s ready. You can take a screenshot by hitting the key “F11”. The image will be stored in your Hello Kitty Online “screenshot” folder located in the directory where you installed the game. The default path is “C:\Program Files\Sanrio Digital\Hello Kitty Online\screenshot”. 4. In your email submission, please include your HKO character name, the address of your blog, and a brief explanation of your Farm Flag. 5. Players are limited to one entry only, so make sure you have achieved your masterpiece before you send it to us! 1. Competition lasts from July 04 to July 10, 2010. Submission deadline is July 10, 2010, 23:59 EST. 3. Winning entries will be selected by the Hello Kitty Online team. 4. All blog entries are the property of SanrioTown. 7. Participation is restricted to players of HKO North America and HKO Global. 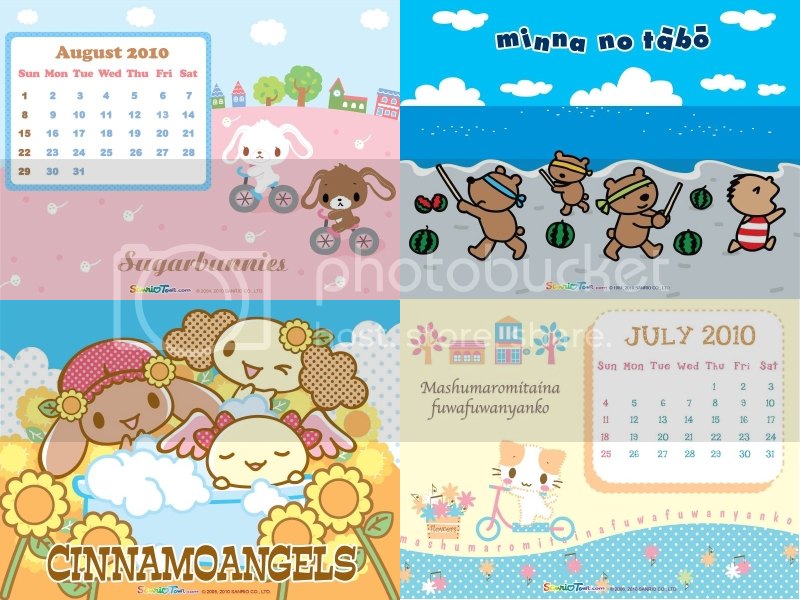 All entries receive 200 Sanrio Loyalty Points. 5 winning entries per server will receive 1000 Sanrio Loyalty Points. Have fun creating your flag! Hello Kitty Online GM Events! Hi players! If you’d like to join Hello Kitty Online GM events, now we have a simple schedule for you to follow! For more updates, please visit www.hellokittyonline.com. You are currently browsing the Kitty News Blog weblog archives for July, 2010.